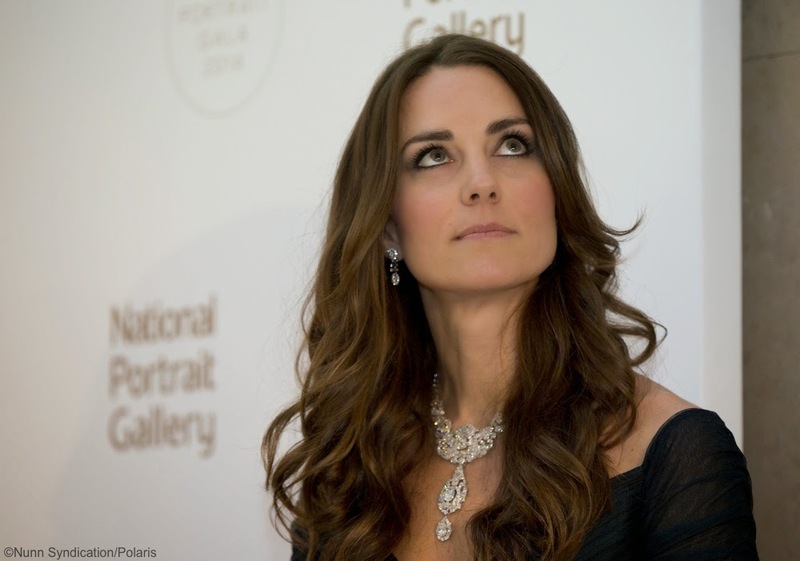 These earrings are one of those Kate items you'd absolutely need to repli-kate, as opposed to getting the real deal, even if you really wanted/could afford to, as these are rumored to be a wedding gift from the Prince of Wales and very likely bespoke and/or antique (together with the matching bracelet). 1 July 2011 - Attending Canada Day celebrations in Ottawa. 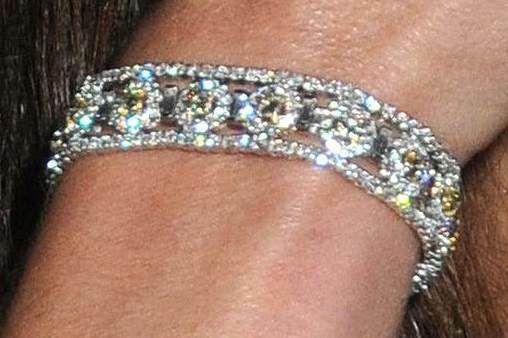 9 July 2011 - The bracelet worn with different diamond earrings at a BAFTA Brits to Watch event in Los Angeles. 27 October 2011- Hosting a charity gala at Clarence House on behalf of the Prince of Wales. 4 June 2013 - Attending the Coronation anniversary service at Westminster Abbey, as part of the celebrations for the Queen's Diamond Jubilee. 11 February 2014 - A dazzling duo, with the Nizam of Hyderabad necklace, at the National Portrait Gallery annual Portrait Gala. 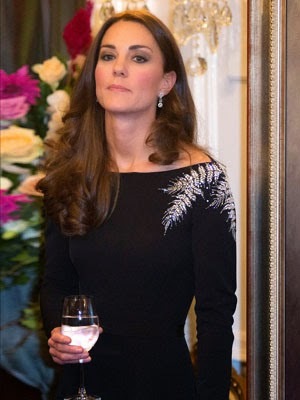 10 April 2014 - Attending a reception at Government House, Wellington, New Zealand. 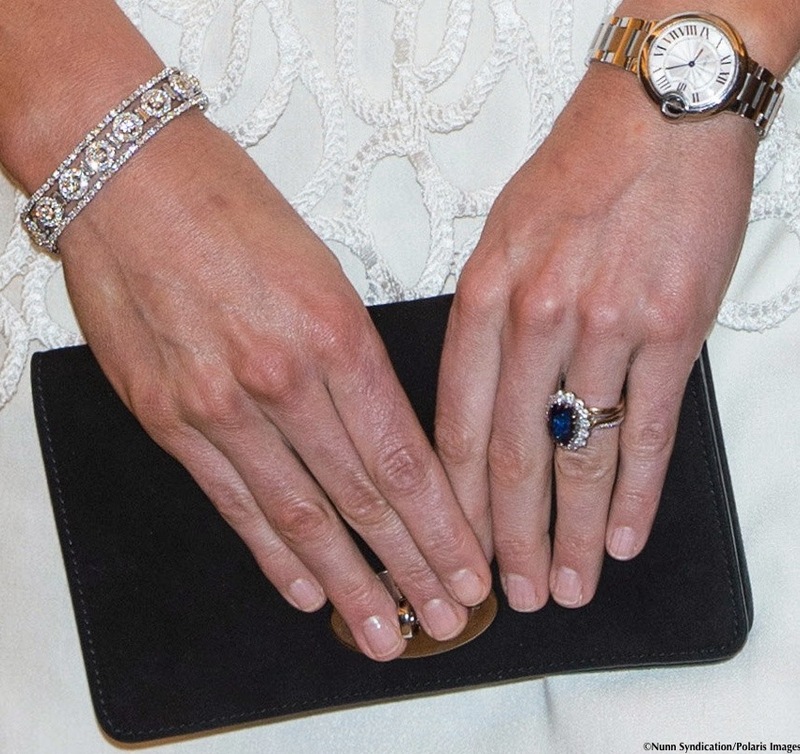 25 April 2014 - Attending a reception at Government House, Canberra, Australia (plus a good close-up of the matching bracelet). 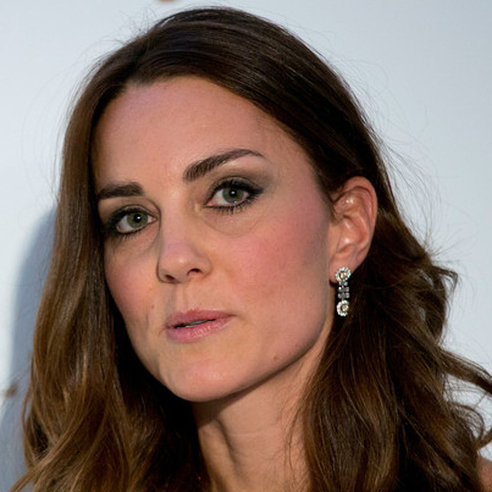 I purchase my repli-kate earrings in February 2015 for $53 including shipping to Italy (£37/€48). They're still available at The Looking Glass Shop for $40 (£28/€37) plus shipping (which, in my case, comes up to $15/£11/€14, so total cost has gone up by $2 since I purchased them last year). From the description on the shop Etsy page: Worthy of a princess, these gorgeous earrings are custom-designed replicas of earrings worn by Kate Middleton, the Duchess of Cambridge. 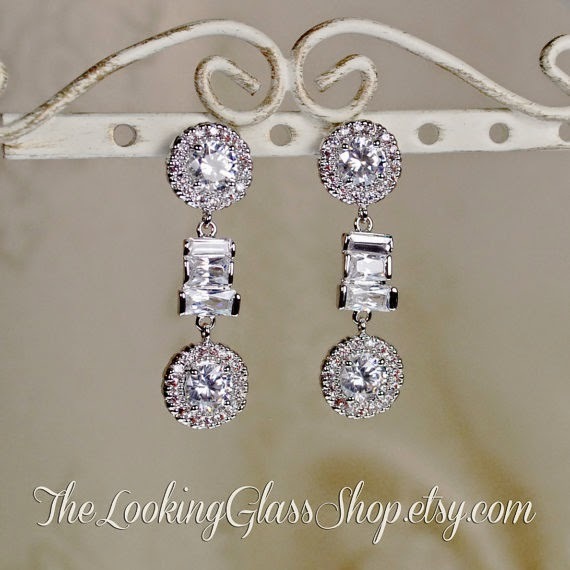 They feature 2 beautiful cubic zirconia stones surrounded by pave style halos, separated by 3 baguette stones. They measure just under 1 1/2 inches in length [approx. 3.8 cm] and have nickle-free posts. My main gripe about these is that in the originals the three baguette-cut diamonds that connect the florets appear to be articulated. However, this is not the case in the repli-kate. Also, the three stones appear to be the same size, whereas in the repli-kate the top two are the same size but the bottom one is longer by around 1 mm on each side (I know I'm nitpicking, but I reckon I might just spill the beans and tell things as they are). Despite the differences, I would still buy these because they're very pretty and great for different occasions and fashion ensembles. I would wear these with so many different outfits. Thank you for the review! That's true, they're very versatile and suitable for both day and eveningwear (just like Kate's!). Glad you found the review useful!